WHAT'S LIFE LIKE IN THE UCC? 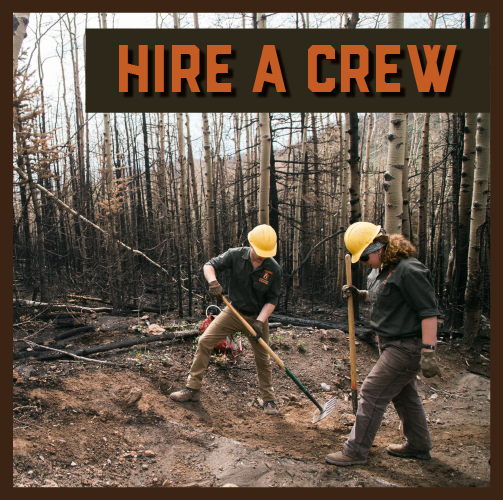 A season with the Utah Conservation Corps can be one of the most challenging, difficult, and most rewarding experiences of your life! 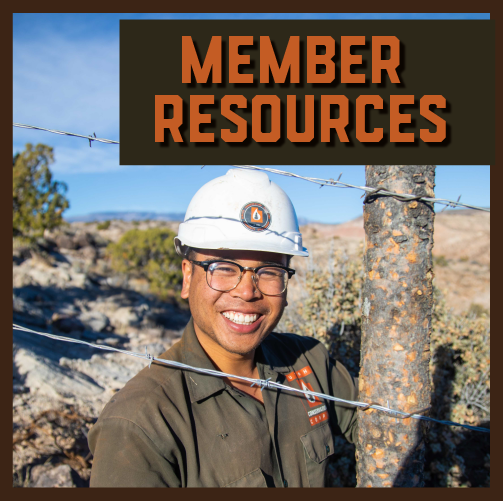 Our members help get critical work done on our public lands--both federal and state. Our term of service helps our partners get work done, and our members learn what they have within themselves! Curious what it's like? Check out our video to find out what a season with UCC could be like, and if you're up for a new and exciting challenge, apply today! A term of service with UCC can be the most challenging work you've done in your life. That being said, anyone can do this work with the right attitude and mindset! 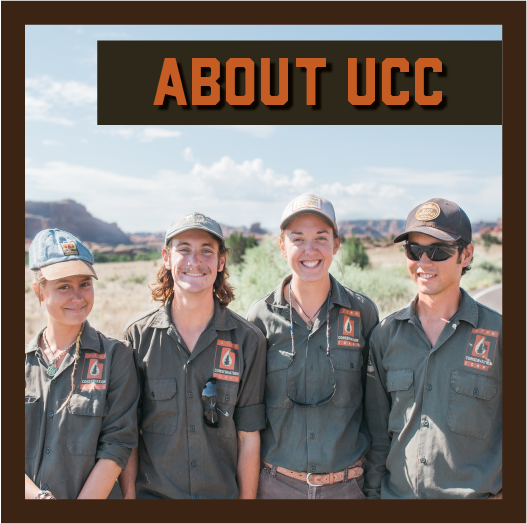 The work UCC does is critical to helping Utah's public lands stay in their best possible condition. It's also hard, but who doesn't like a challenge? We teach you the skills, you decide the reward. We have over a dozen non-profit partners who we send Individual Placements (ie: Interns) to work with throughout the year. They work in a wide variety of sectors from habitat restoration, policy and research, to environmental education! Check our POSITIONS Page frequently and follow us on Facebook to learn when these exciting opportunities become available!